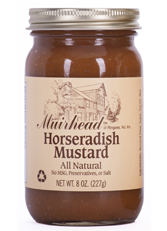 Muirhead Restaurant Years -- Back in 1974, Ed and Doris Simpson (Dad and Mom) opened a fine dining restaurant in a farmhouse in rural Hunterdon County where customers could eat a five-course meal at a leisurely pace. 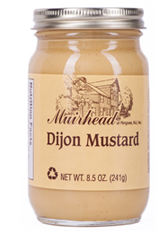 All four Simpson kids helped prep and serve. 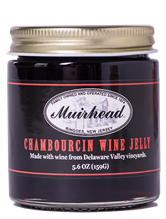 Mom and Dad served cutting-edge cuisine for the time -- individual Beef Wellingtons, sorrel soup, salad greens from their garden, and Concord Grape pie. 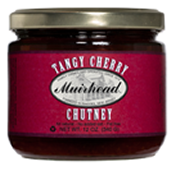 Diners sat back, relaxed and enjoyed special tastes. 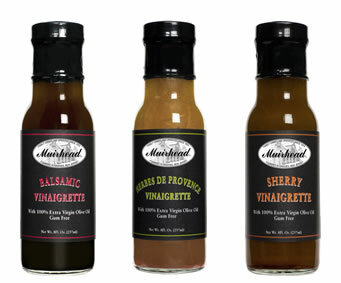 Pretty soon Dad began to get requests for his salad dressing and he mixed up a few bottles for diners to take home. 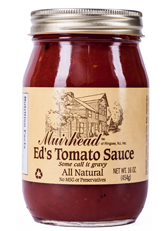 The Muirhead Food Years -- Ed and Doris gradually merged into a specialty food business. 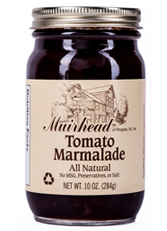 Today daughter Barbara is carrying on what they started. 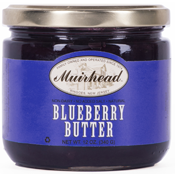 The Pecan Pumpkin Butter, which won prizes at the Fancy Food Show back in the day still gets rave reviews, and so do innovative newer products like the Blueberry Butter made with NJ berries and the Apricot Jalapeño Jelly with its "gotcha" after-taste. 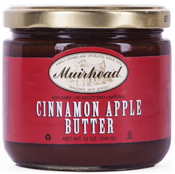 Many a busy woman has relied on Muirhead products to impress her book group. 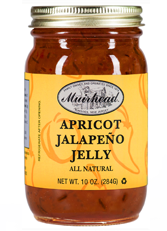 Just dab the Apricot Jalapeño Jelly on some goat cheese and crackers. 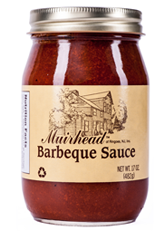 The business has grown since 1974, and in 2016 Barbara moved Muirhead to Trenton, put out a big awning, and made a commitment to that urban community. 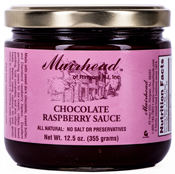 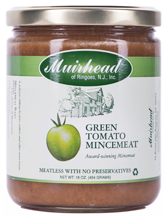 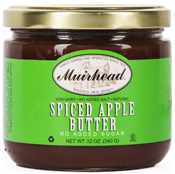 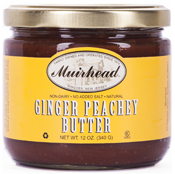 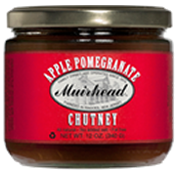 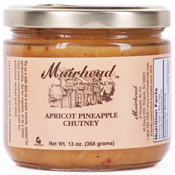 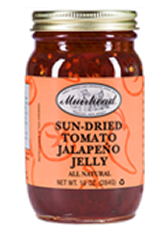 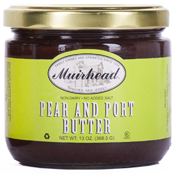 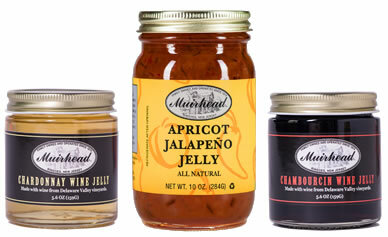 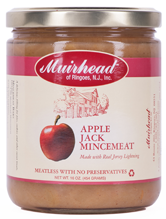 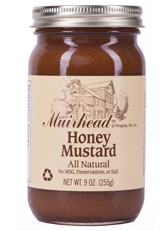 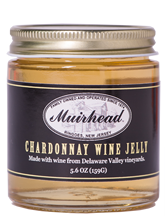 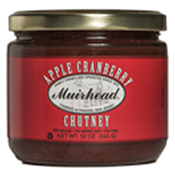 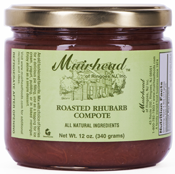 If you're looking for a shortcut to a scrumptious treat, please pick up a jar of, well, really, any Muirhead product. 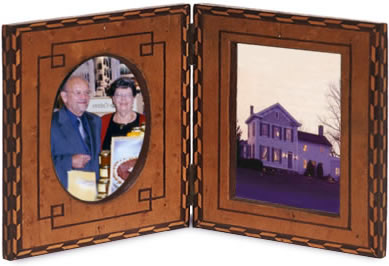 You know that Barbara carries on the tradition set by Mom and Dad so many years ago.